guess what?!? 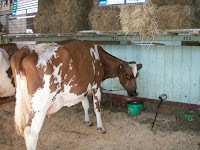 : We went to the Ekka! 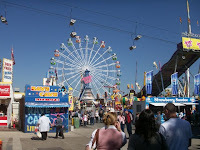 Yes, we risked the deadly flu and went to the Ekka. 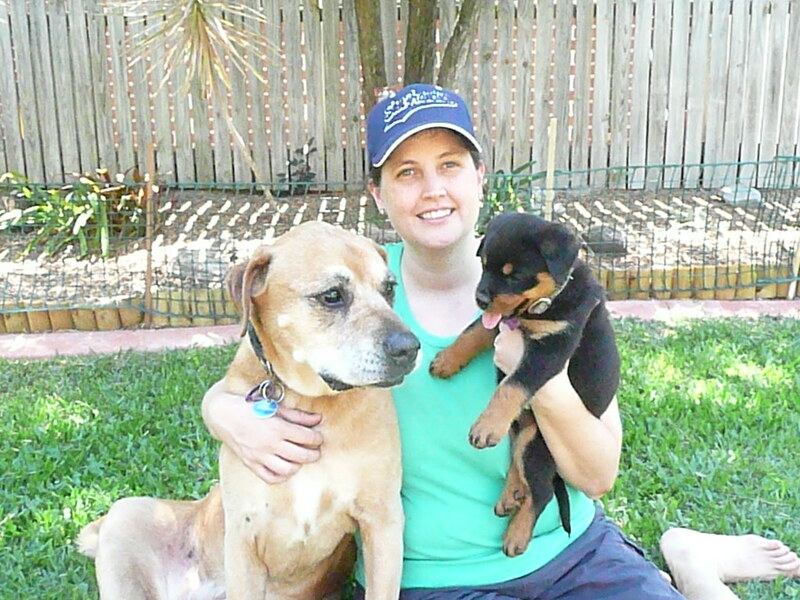 And we are both still alive and kicking (well so far!!). We caught the train in and shared our carriage with a class of primary school kids. 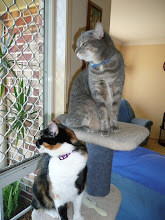 VERY NOISY!! And they seemed ot have the most disorganised teachers who didn't even know that the train went directly to the Ekka? Oh well, they made it there - can't say if they all made it home or not!! 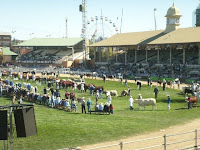 The Ekka hasn't changed much since the last time I was there, in fact it probably hasn't changed much since the FIRST time I was there. Which is really cool! 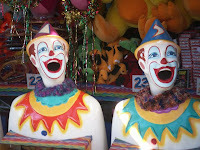 So we wandered sideshow alley, we had a go on the clowns and got the "every player wins a prize" prize. 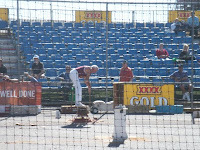 We sat in the sunshine and watched some woodchopping - and were amazed at how fast those guys can get through a log! 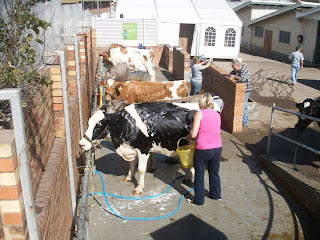 The Ekka may be one of the only places where you will see a bunch of cows being given a shampoo! 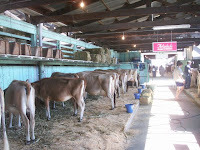 We saw lots and lots of cows.